Frank Koch got his start in the industry somewhat by accident. He took the test to become a carpenter in Atlantic City, NJ in the early 1990s. After being accepted into the program he went through six months of schooling and was eventually contacted by a local business agent in January 1994 with his first professional job. This first opportunity was at the Showboat Casino. A much-loved landmark hotel, the Showboat recently reopened for a new generation of travelers. While Atlantic City has seen a downturn in economic development in recent years, the 1990s were an exciting time for the gambling mecca. One job led to another for Koch and he started working for a local carpet company in Atlantic City. As business continued to improve and more carpet companies began to come online, an opportunity became available for an organizer position. Koch was selected to be the union organizer for South Jersey at a brand new local which was separate from the Philadelphia and North Jersey/New York areas at the time. Over the course of ten years, Koch was able to grow membership from zero to 300 people, and while major structural changes have led to mergers and new territories for the East Coast, his experience in South Jersey helped cement a long-term career in the organization. 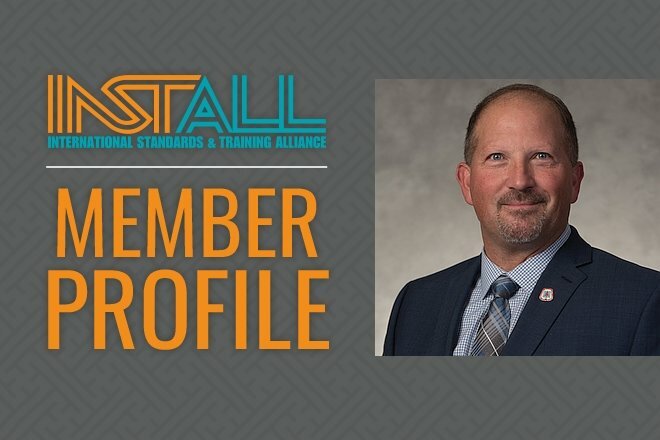 Today Koch is not only the president of Local 251 but he oversees INSTALL training and certification for his territory. Where INSTALL is included in bid specs he works with architects and serves as the liaison. He also helps to oversee enrollment and curriculum development. It’s an important role that he is proud to undertake.